The Lincoln MKZ is a good luxury sedan with all the bells and whistles when it comes to tech, spec, safety and driver assistance features. Pricing could be an issue too though with the base spec starting off at $35,170 while an equivalent Ford Fusion is available for around ten grand less. Engine options include a turbocharged 2.0-liter, and a very good twin-turbocharged 3.0-liter V6 – all mated to a 6-speed automatic. There are eight models in the Lincoln MKZ range, four run on conventional engines made up of a turbocharged 2.0-liter 4-cylinder and a twin turbocharged 3.0-liter V6, and the rest make use of a gasoline-electric hybrid powerplant (discussed in a separate review). The different trims all look quite similar from the outside, which means it’s inside features that set them apart. With the Lincoln brand being Ford’s luxury division, you would naturally expect the MKZ to be miles ahead of the Ford Fusion that it’s based on, but is it? Does it warrant the $13,000 higher price tag on the entry models even though it’s the same under the skin? 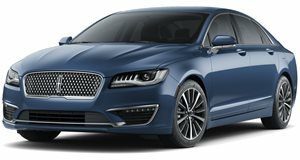 It’s here that the Lincoln MKZ models seem to have their differentiation from their Ford counterparts with some good-looking finishings and a decent list of available options. The driving position is good in the 10-way power adjusted and heated front seat and it affords the typical visibility you’d expect in a sedan, and the rest of the seating is top quality with good space all round too. The ergonomics in the interior are good with a few more curves that you’ll find in the Fusion, but Lincoln has managed to make the centre console and the dashboard link up in a rather high divider running the length of the car. Finishings are good, and the top leather option means a very upmarket interior, the leather-bound multifunction steering wheel is great. The main focal point is the big and colorful 10.1-inch, fully configurable LCD gauge cluster. All in all, a very nice place to be. The responsiveness of the drive will depend which engine is optioned with the Lincoln MKZ, but they do all offer up a smooth and comfortable drive. The gasoline-hybrid engine and the 2.0-liter turbocharged setups work well, but the range-topping twin turbocharged V6 is the most powerful one that offers up the best feeling drive, but it may be too much for the Fusion chassis that wasn’t meant for so much power. The suspension is tailored to provide a smooth ride, and this means it can come across as a little softly sprung as a result. While the transmission is silky smooth, it does feel like it’s a little uninspired with shift points not coming in with enough urgency at times. Steering is responsive enough but with all the insulation and softening of things to give the MKZ a luxurious feel and drive it doesn’t provide much feedback, but then again this isn’t a car then needs that feedback. There are three engine options for the Lincoln MKZ, two dedicated gasoline-fed lumps and one hybrid (discussed in another review). The 2.0-liter turbocharged four-cylinder is the entry option and it’s punchy enough with good torque, rated at 240 hp. The top choice is the twin-turbocharged 3.0 V6 that creates 350 hp and a high 400 lb-ft of torque, and this is so good it’s almost too much for the car. These latter motors are available with a 6-speed SelectShit automatic transmission and with front or all-wheel drive configurations. 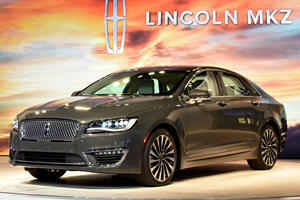 The Lincoln MKZ is the classier version of the Ford Fusion and the interior is set to reflect that. Finishings are upmarket and tech and spec available is also top-notch. Various trim finishes are available that include quality leather and genuine wood paneling. The Ford Sync3 infotainment system is in play, ability with Lincoln logos, and that’s linked to a quality 11-speaker premium audio system. A lot of the info seen on the main screen in the center console is also relayed to the LCD gauge cluster and message center to keep eyes on the road. Connectivity is also sorted with a media bin and SiriusXM® satellite radio ensures constant with the world. Safety is great, as expected, with an array of airbags, SOS Post-Crash Alert System, lane departure warning, adaptive cruise control and perpendicular parking assistance. 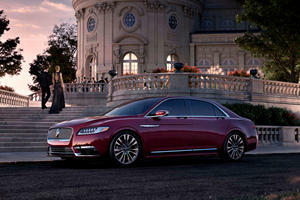 The Lincoln MKZ does a great job of being a luxurious sedan with all the right tech and spec available. Engine options are good and having a hybrid option does widen the appeal of the sedan in the market. The standard 6-speed automatic transmission and optional all-wheel drive system make for a good combination, and there’s a host of good and interior packages match. While the Lincoln does use many parts from its Ford cousin there are enough changes for it to have it’s own identity on the roads out there. You cannot be faulted for choosing an MKZ. Another day, another recall notice. Is this indicative of the market, or just an indictment of Lincoln? 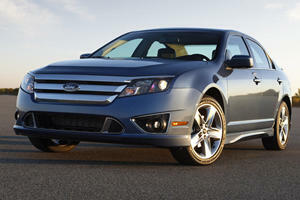 Not surprising buyers didn’t want to pay more for an already overpriced Ford Fusion.